NO MACHINING NECESSARY BEFORE USAGE!! STRONGEST I.D. COLLET ON THE MARKET TODAY! MUST BE MACHINED BEFORE USAGE! What is an expanding mandrel or expanding collet? 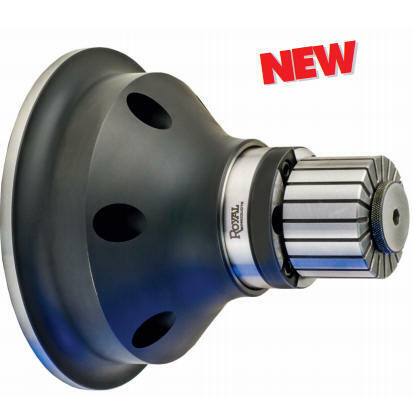 These expanding mandrels and expanding mandrel collets are high quality 5C expanding collets, 2J expanding collets, 16C expanding collets, B40 exapanding collets, B60 expanding collets, 3j expanding collets and other special sizes with diameter capacities of 3/8" to 6" and expandable lengths from 3/8" to 3". They are designed for use with standard air collet or hydraulic cylinders or other collet fixtures. Expanding collets hold on the inside diameters or inside dimensions of workpieces. The exanding collet provides an expanding member to locate and hold work from the inside, using your present 5C, 16C and 3J, B40, AND B60 equipment - lathes, milling machines, grinders, fixtures, etc. with no extra attachments. Accuracy within .0005 is not unusual on concentricity and the expanding collet enables you to hold close shoulder tolerances. How are the expanding collets or mandrels used? The expanding collet is inserted into the spindle of your machine and it's threaded draw bar until the 5c or 16c taper seats. The conventional movement of the draw bar will expand and release the clamping member.". The taper on the collet, once seated, on dead length collets there will be no variation of work part length if i.d. varies. 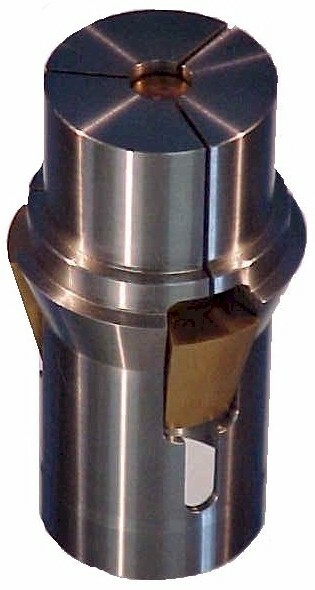 The expanding collet may be removed and replaced in a machine without affecting its accuracy as with any standard collet. 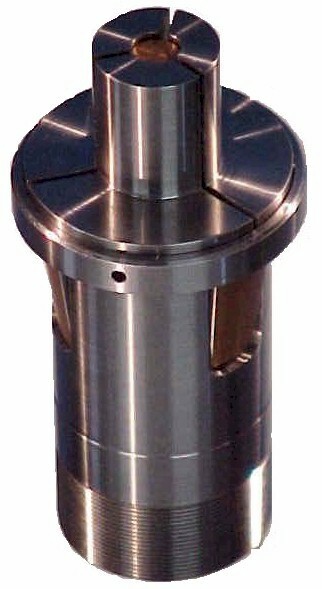 The expanding collet can operate with the spindle moving. Expanding collets may be transferred to any machine using standard 5C, 16C, 3J, B40,or B60 collets. Therefore, it may be switched from machine to machine for use in turning, grinding, machining, drilling, milling, etc., saving valuable time.